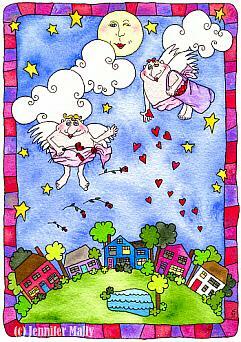 Talk about a dream job -- flying around in your skivvies and spreading love around. If you're interested in purchasing this painting, simply Jen. Shipping and handling, and any applicable sales tax additional.